When it comes to which consumers are continually gravitating to sport utility vehicles over sedans, household income levels and a vehicle owner's age can determine both consumer preferences and defection rates, according to IHS Markit's latest analysis on loyalty and defection. At a time when consumer preferences for SUVs are steadily increasing, the business information provider found that as household incomes rise, consumers are more likely to defect from a sedan to an SUV. While over 35 percent of sedan owning U.S. households returning to market for a new vehicle acquired an SUV, the analysis that IHS Markit conducted between April 2017 and March found that not all consumers are following the trend at the same rate. Compared to sedan owners with annual incomes of $15,000 to $19,999, who returned to market for a sedan at the highest rate, IHS Markit found that sedan owners who earn between $125,000 to $999,999 defected to an SUV more than each of the nine different income groups it examined. Meanwhile, in contrast, other data shows that older sedan owners who often have more buying power continue to prefer sedans over SUVs as their next vehicle purchase. The likelihood of a sedan owner choosing to defect from sedan to SUV decreases as age increases, according to IHS data. The company said that "loyalty to sedans is extremely high among older consumers and varies by nearly 20 percentage points from the youngest consumers to the oldest." This graph illustrates the percentage of sedan households who returned to market for a sedan or SUV according to income. Graph courtesy of IHS Markit. Sedan owners between the ages of 18 and 34 were found to return to market for an SUV at the highest rate, while the 55 to 64 and 75-plus age groups overwhelmingly chose to stick with a sedan. 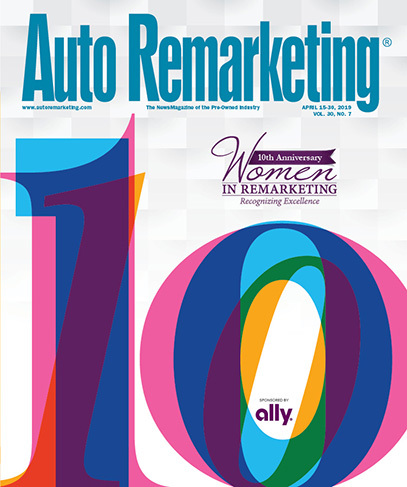 "Many marketers may not realize the importance of continuing to target their sedan marketing and advertising efforts toward older buyers," IHS Markit loyalty principal Tom Libby said in a news release. "These consumers sometimes have more buying power, as well, which means an important group of prospective customers could be at risk of being missed in advertising and marketing efforts." Furthermore, in addition to age and income, IHS Markit also took a look at how many Asian, African American and Hispanic sedan owners in the U.S. have been returning to market for either a sedan or SUV. Compared to African American or Hispanic sedan owners, Asian consumers are about 10 percent more likely to defect from a sedan to an SUV. Almost 40 percent of Asian sedan owners returned to market for an SUV between April 2017 and March, while only 31.9 percent of Hispanics and 31 percent of African Americans defected for an SUV. In fact, among African American sedan owners, 55.7 percent chose a sedan as their next vehicle purchase, compared to only 49.6 percent of Hispanic and 43.5 percent of Asian sedan owners.